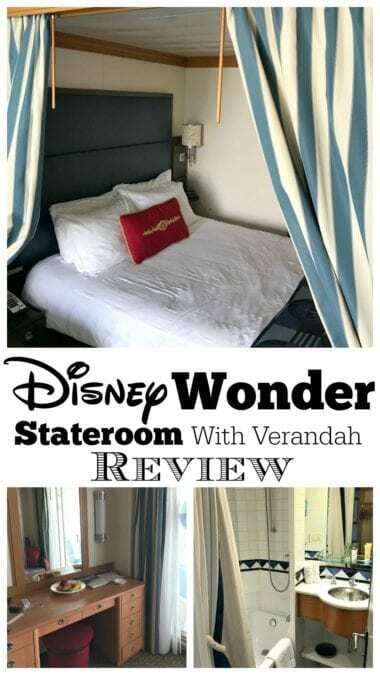 Reviewing The Disney Wonder Stateroom with Verandah for you today! 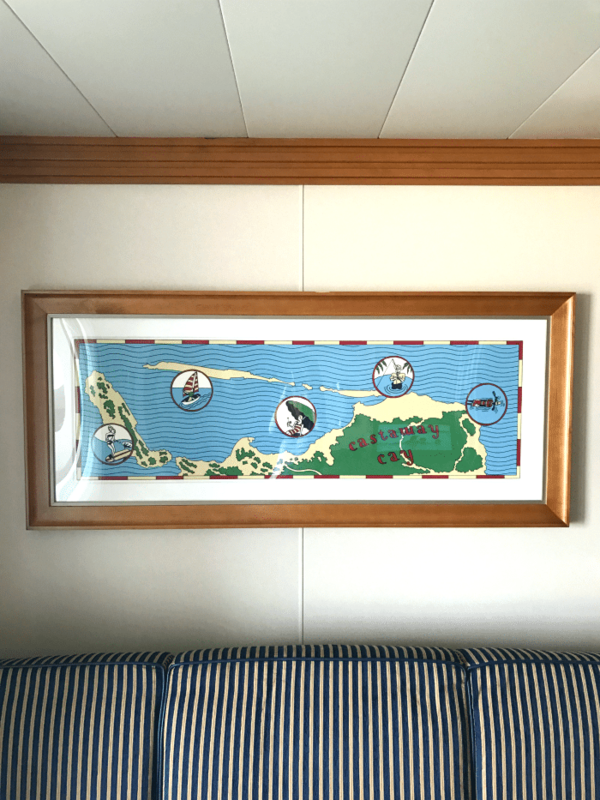 There is nothing like a Disney Cruise, let me show you around! 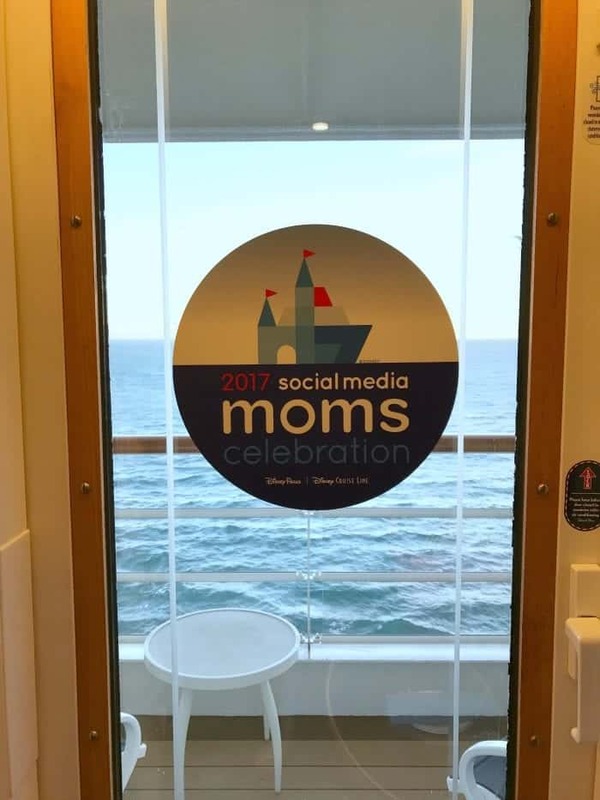 It was so exciting going on our first ever Disney Cruise earlier this month, The Disney Wonder. We loved everything about it, I will be sharing more about our cruise coming soon! 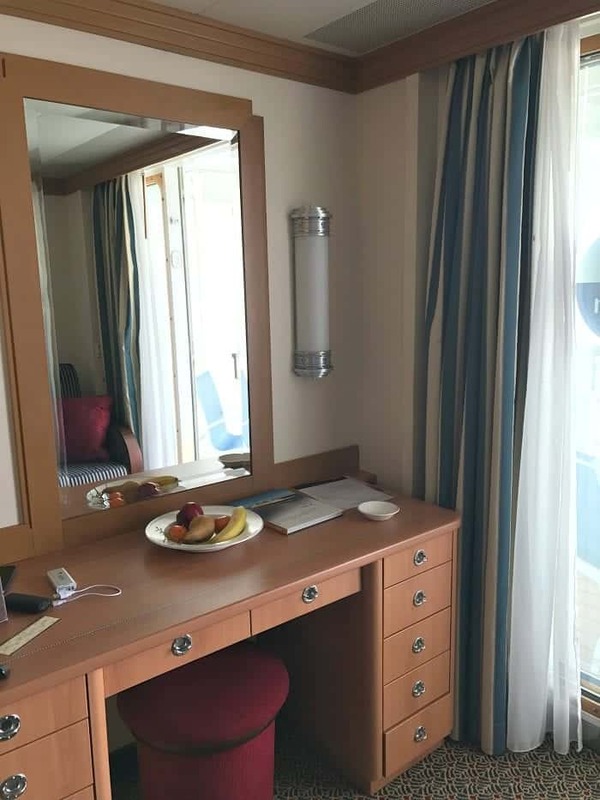 If you haven’t cruised before, you need to be prepared that the staterooms are pretty small. Quaint, but small. Not a whole lot of room to move about, however let’s be honest, you aren’t in your room for very long periods of time so we didn’t mind it at all. Our bed was super cozy, soft and very comfortable to sleep in. I will say, if you haven’t cruised before make sure you are prepared with some motion sickness patches, pills, bracelets or whatever you choose. It’s nice to have these things just in case. There was one night that the ship was rocking so much that it kept me up in the middle of the night. I would also suggest some sort of sleeping pills (wish I would have had some for that night). The other nights I was totally fine. Across from the couch is this little desk area. This is where we charged our phones and I even did my make up in this area. More space than the bathroom. 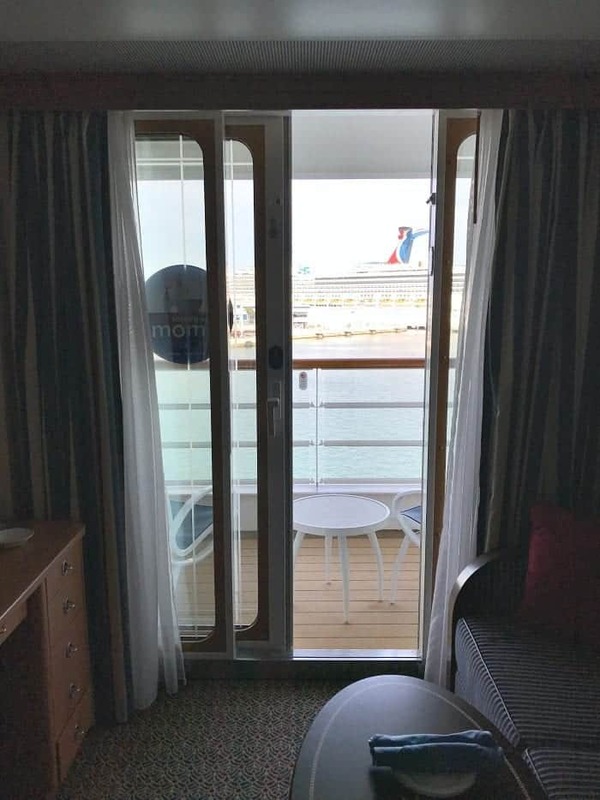 I will say that after having the Verandah with our stateroom, I wouldn’t want to cruise without one. To be able to walk out and see the water was a huge highlight for me. 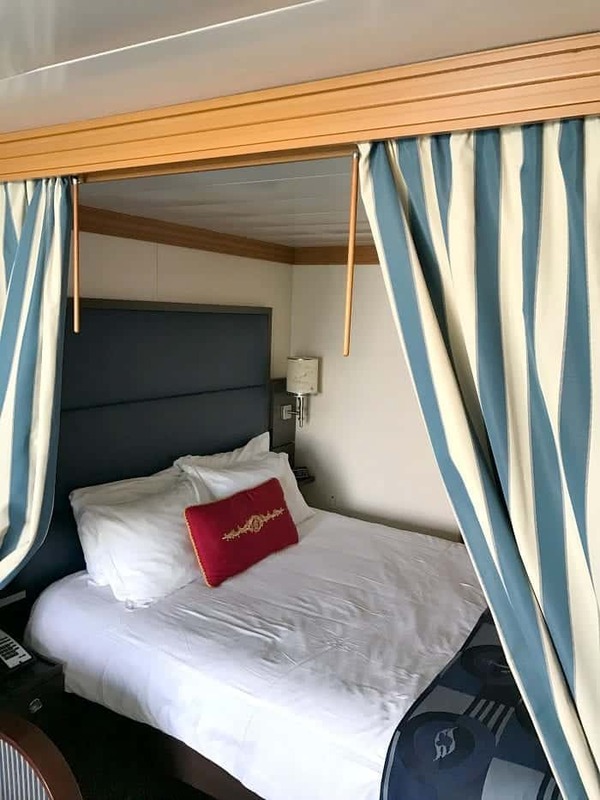 I would highly recommend budgeting enough to purchase a stateroom with a verandah. 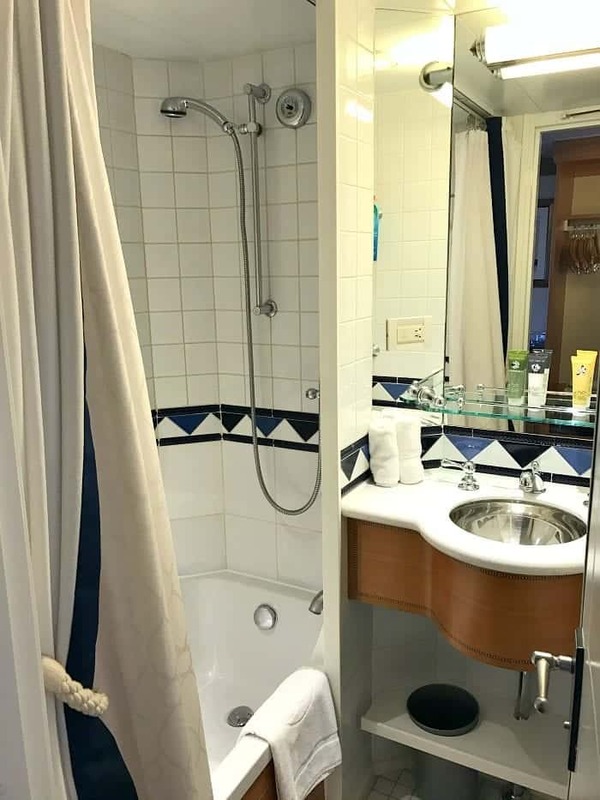 There was one small shower/bathtub and sink room. 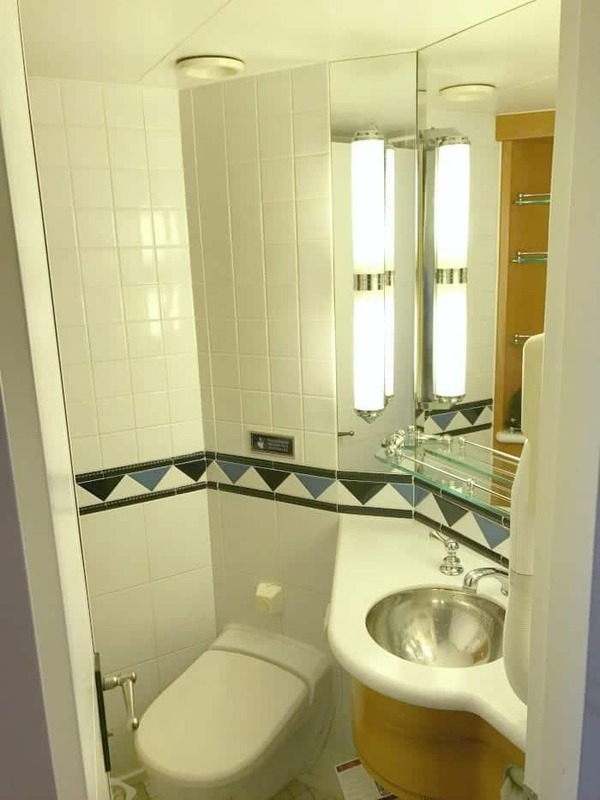 Right next door was a small bathroom with toilet and sink. 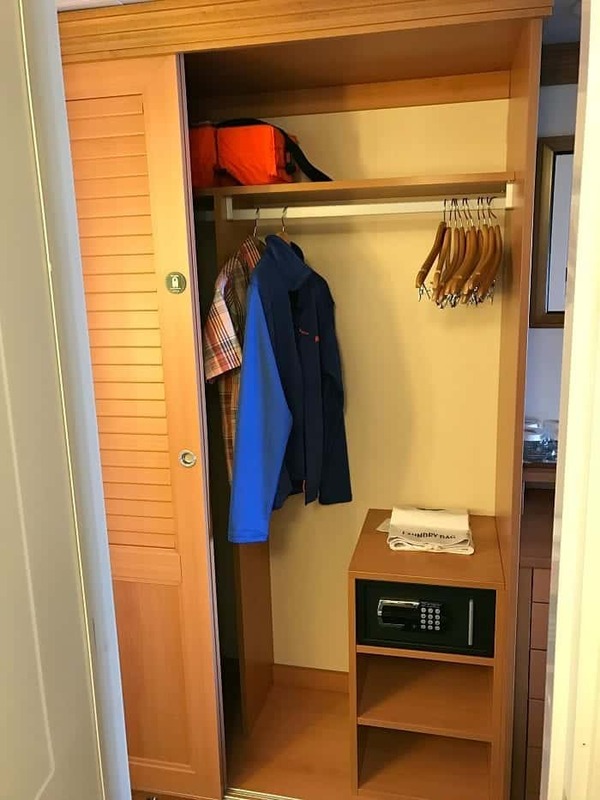 Right outside the bathroom, you’ve got a small closet, some shelves and a safe. 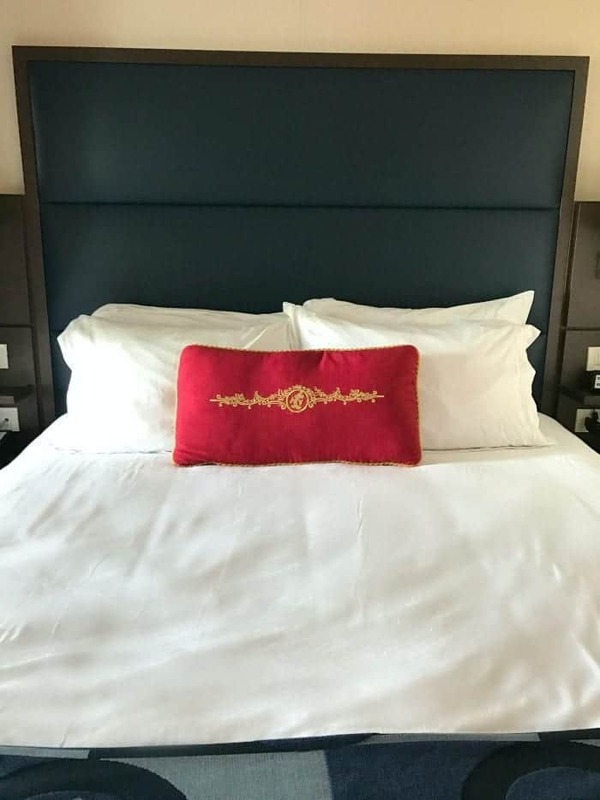 As a review, this was a comfortable room for my husband and I. The rooms are a little bigger when you’ve got more people in your room. We LOVED cruising with Disney. Hope to plan another Disney Cruise Line trip soon!